"Who needs life when you've got constructs?" HPN & Carcearion's Bit Forge Presents: Artisan's Contest XXIV! The goal here is to make some golems for your Chaos Dwarf collection! People can enter with any number of golem models. Golem constructs can be made of whatever you fancy: Magma, stone, clay, obsidian, metal, flesh, a wild Daemonic mass, fire (i.e. K'daii), chains or something else entirely. You are welcome to make a diorama out of your entry, if you wish, e.g. having a Golem being activated by a sorcerous handler, or having a Golem unit tearing an enemy monster apart, limb for limb, or having a golem construct tear open a Goblin's hut. The CDO Staff won't be picky with what entries are accepted. Instead we expect voters to reward those entries which play to the spirit of the contest theme, as is usually the case. Still, if you are unsure whether your entry will meet the requirements please PM Admiral. 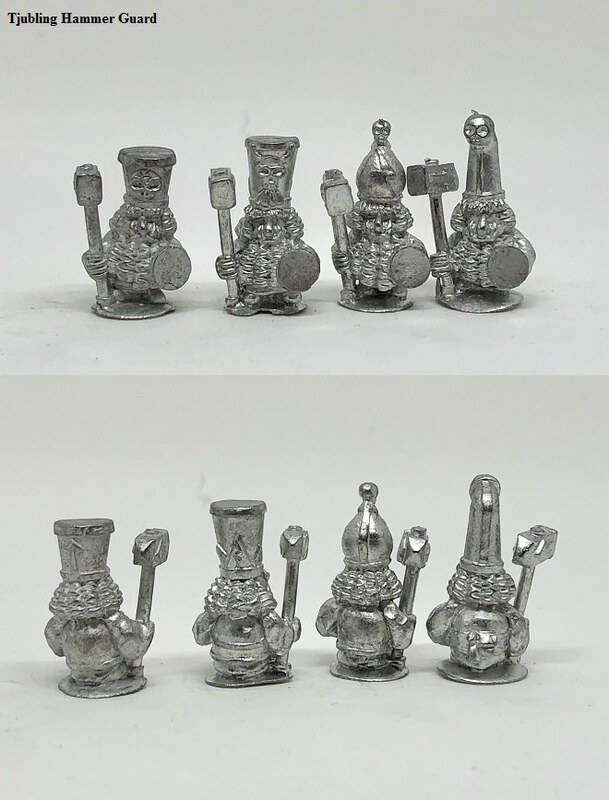 Tjub and Admiralty Miniatures will reward the bronze winner with a kit of metal Tjubling Hammer Guards! The deadline for the submission of entries is May 16th 2018 at 11:59pm EST. Model and paint golem models. Bases or no bases are up to you. Submissions should include up to four pictures. No overlaid words of explanation or photoshop effects in your submitted photos please. You may not submit pictures of a model that have been entered into other online competitions or posted in a finished state before. Submit your entry by sending a PM to Staff (a special user that all Staff have access to) with four photos of your entry. Please do not send an e-mail to any of the admin or staff accounts as this is a sure fire way to have your entry missed. Please note that your entry will benefit if the photos are all clearly composed, since voters will base their judgement upon what they can see in the pictures on their computer screens. Sometime after May the 16th we will post all entries to a new thread and voting can commence! Special thanks to Carcearion for making us the snazzy contest banner. This post was last modified: 04-04-2018 06:59 PM by Admiral. Awesome contest theme! I actually have exactly such a project of my owning floating around unassembled I have been dying to get to.... Unfortunately I have two armies to finish off, a large display board to complete, and a themed terrain set to build for a tournament in June. I might be able squeeze this in though! Cool theme and lovely prize. Definitely going to make some time for this. Great theme for the contest! So I'm gonna have to find a new model, whether I like it or not. Prizes updated. It's raining donations! @Zanko: Bah, you need an excuse to expand your enormous army even more! Great. I have something in the queue to do so it is perfect. Oh my! That first place prize! What a great theme. All praise to the admin team. Exactly what I needed to continue my army ! And look at this prizes !! Were pretty tricky with roping in people via prizes. Hobgoblin level of tricky. 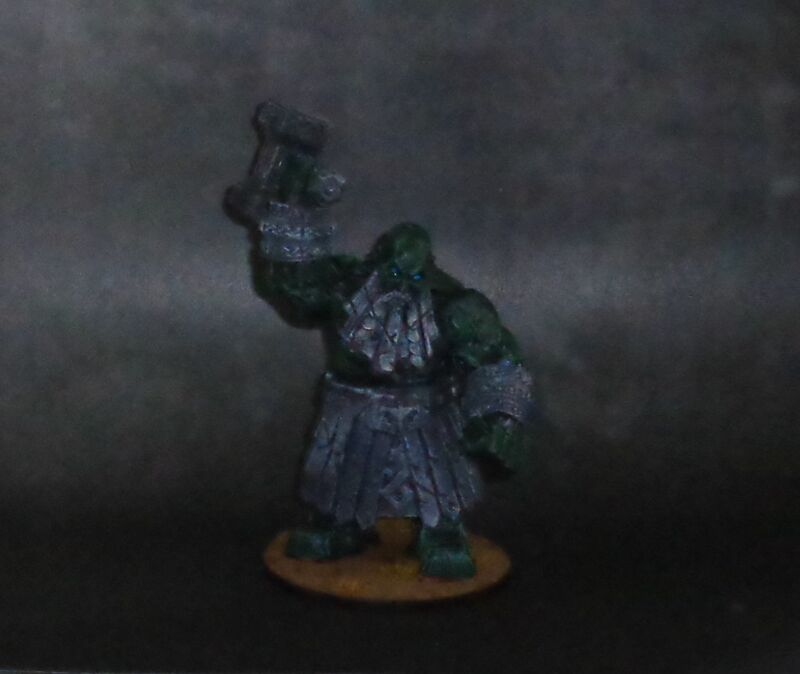 Ok, I started to convert heavily my minis. And I have a B plan, just in case... So I'm in, whatever happens. 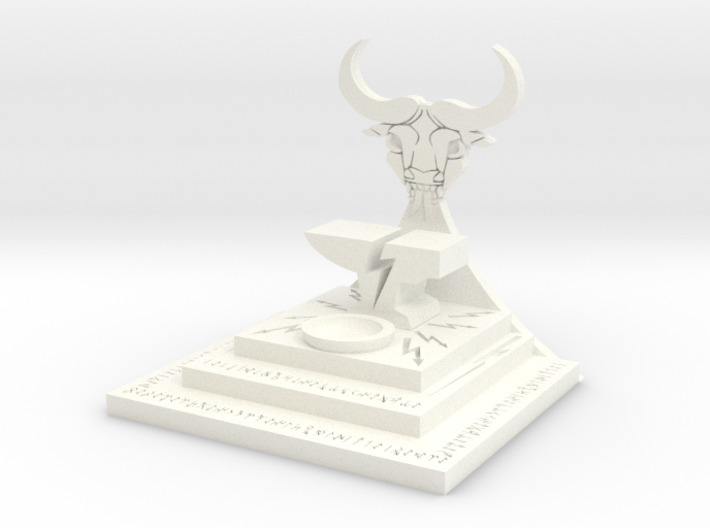 Perhaps 150x100mm (Hellcannon and K'daii Destroyer base) if going square? 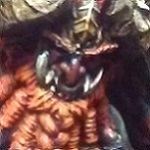 For tabletop wargaming, use the longer 150mm side as the flanks of the monster, with 100mm sides as the rear and front. Like a chariot base, only bigger. This way a flank charge by a wide regiment is more punishing. If you're just out for the looks of it all (or your opponents don't mind), you're of course free to put it with long 150mm side as front. But for games, long side as flank is a safe bet. Once upon a time Juggernauts were based on 50x50mm bases, but then a wave of monstrous cavalry regiments washed over Warhammer, and they got a 50x75mm base. Demigryph-size. I'd go with the latter, the bigger one. For AoS rounds, it's a 90mm oval base. Of course, you're free to base your models however you like, including on hexagonal bases, chariot bases, cavalry bases (counts-as Bull Centaurs? ), infantry bases (counts-as Disciples of Lughar in T9A? ), crescent-shaped bases, a single regimental base (Kings of War) or no bases at all. And entries in other scales than 15mm are also welcome. The days when miniatures had to be on army list millimeter correct bases for contests are over, although we're happy to advise if someone wants to keep their minis based in a way consistent with standards for one wargame or another. Unlike in the actual Warhammer Fantasy army books, the base sizes are written down in the unit entries for the 9th Age army books. And since T9A is the direct though fan-driven inheritor of the Warhammer Fantasy wargame with its square bases and distinct regimental combat, its army books is always a good go-to. However, everything is renamed, so finding what one seek requires some familiarity or it will be a hassle. 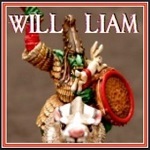 So don't hesitate to ask here if you want to keep basing consistent with WHFB. This post was last modified: 04-09-2018 04:59 AM by Admiral. I have parts from like four different miniature companies - I just need to do allot of sawing and sculpting and cutting and sanding to make them into one cohesive construct. I am very glad we got allot of time for this one.